The Lanai Lounge transports you into a tropical jungle where bamboo lined walls, handmade princess chairs and a tiki style bar are interspersed with exotic palms delivering a pure Hawaiian backdrop. 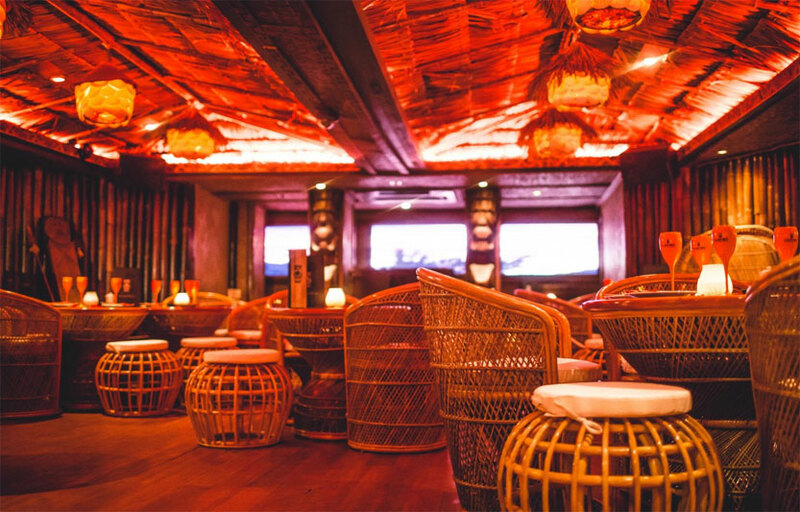 Flickering candle light, carved tiki gods` and a thatched ceiling helps create a more intimate vibe. Delicious cocktails and sharing plates are available from 6pm. As the night unveils watch this space transform into a wild oasis of fun….make sure you try one of our famous treasure chest sharers. The Aloha party room is made up of wooden carvings for the wall finishes, and a dance floor effect made from multi coloured fisherman’s balls. It represents the underworld of Mahiki. It is a darker space than the Lani Lounge; with much more of a mischievous feel. Open from 10.30pm this is the space where the party happens. Mahiki has multiple venues all over the world. 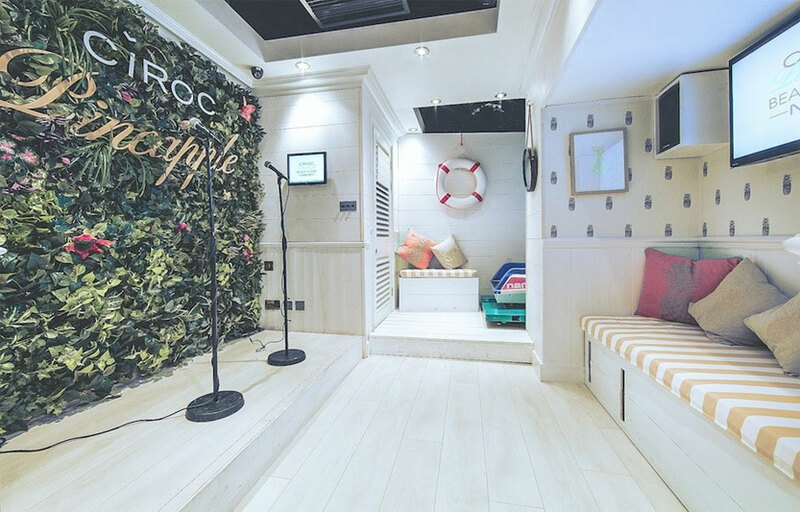 Karaoke rooms are available inside. Exclusive VIP rooms are also offered. This is a celebrity hotspot. Be sure to dress to impress; be presentable! Where is Mahiki Mayfair located? Mahiki Mayfair is located at 1 Dover Street in the affluent neighborhood of Mayfair. How much is cover charge at Mahiki Mayfair? Mahiki Mayfair charges a cover of £15 on most nights. How long will I have to wait at Mahiki Mayfair? Expect to wait anywhere from 20-40 minutes, depending on when you arrive. When is Mahiki Mayfair open? 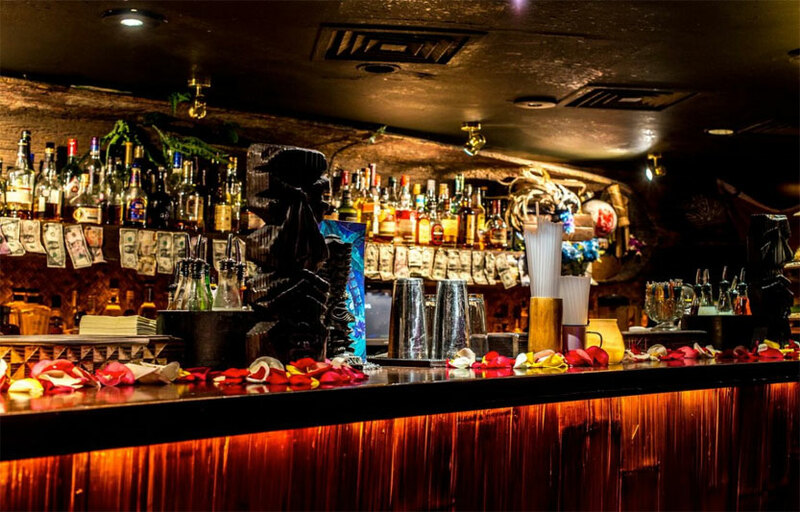 Mahiki Mayfair is open Monday through Saturday. 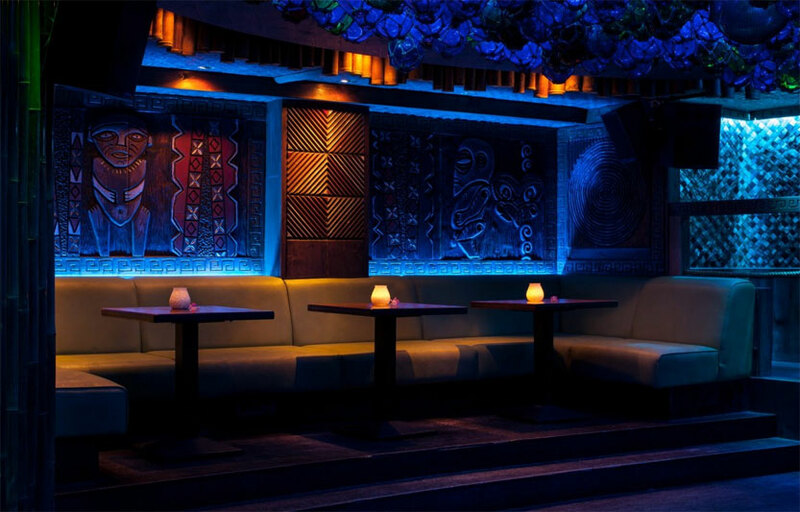 What are the best nights to go to Mahiki Mayfair? Weekends are the best nights to get the full experience. What is the dress code at Mahiki Mayfair? Dress to impress! Collared shirt / nice pants / dress shoes for guys. Avoid anything that can be considered sportswear (track jackets, jerseys, sneakers, hats, etc). Unless you’re a celebrity – in that case, you can dress however you please. How much do drinks cost at Mahiki Mayfair? Expect to pay around £15-20 for cocktails. What kind of music do they play at Mahiki Mayfair? 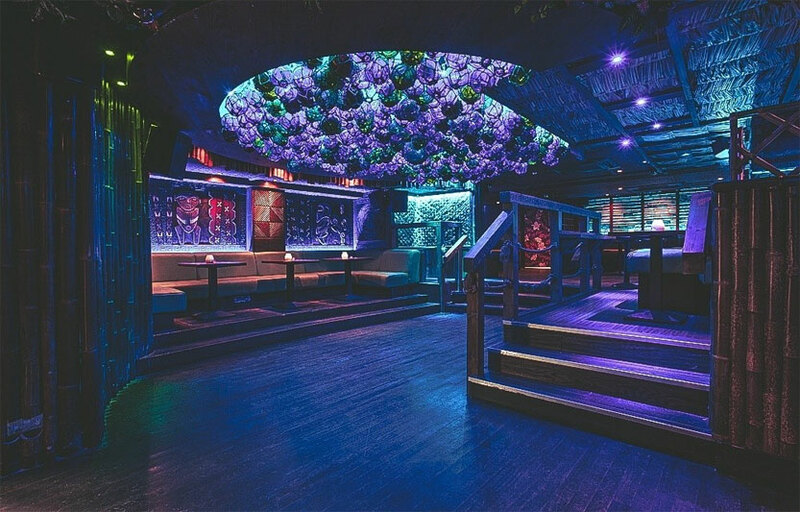 Mahiki Mayfair features mostly Top 40 music, with a mix of EDM and hip hop. Where can I find an list of upcoming events / DJs at Mahiki Mayfair? You can download the Discotech app to see upcoming events, and book tables for Mahiki Mayfair.